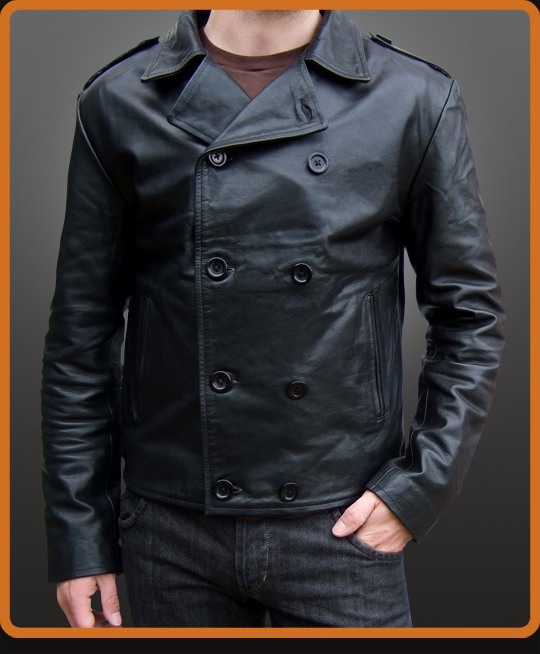 A fitted double breasted style leather jacket with shoulder epaulettes. Curved back hem-line. Military style. Available in Black and Antique Brown.